As a music fan obsessed with uncovering the secrets of life, I tend to let my love of artists guide me to some knowledge. Last week, it was designed that I saw Australian pop rockers 5 Seconds Of Summer, and a few days later, country music superstars Rascal Flatts. As far away from the radio format as they can be, they’re both disruptors in their own world. The division between them isn’t good and bad or true or false but interesting and dull. Both bands were completely in control of their own sets, each other, and their audiences. Here’s what I’ve learnt from them that I think you can too. Both artists play music that feeds the soul of the audience. Consisting entirely different music, both audiences truly appreciated the work it took to get not to just to this present point (5SOS formed in in 2011, Rascal Flatts began in Columbus, Ohio in 1999), but their current albums. Take a look at 5SOS on Twitter or Instagram, they respond and engage on a daily, and sometimes an hourly basis to their followers. Want to blow away your audiences? Respond to them and make their day or week or even year. 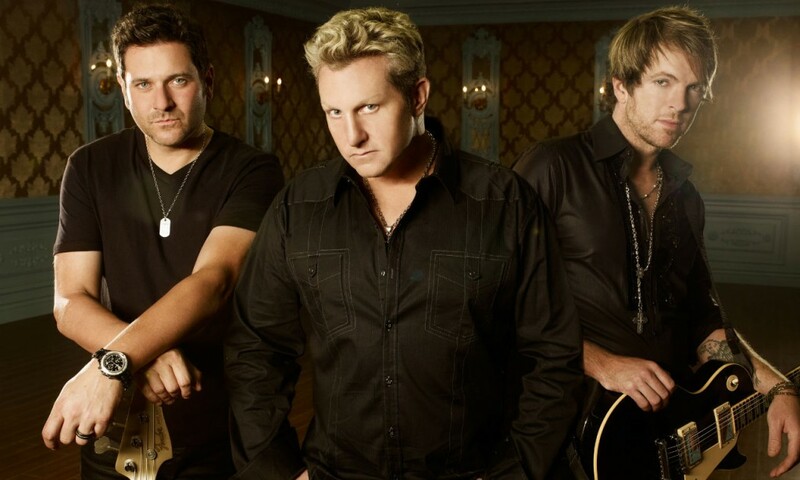 Gary LeVox, Rsacal Flatts’ lead singer, worked at Ohio Department of Mental Retardation and Developmental Disabilities in downtown Columbus, and it shows. His kind gestures and facial expressions to the audience shows he truly appreciates them. How many countless hours do you think Gary spent working, dreaming of being onstage, thinking about how he would want to be treated the same way when it comes to artists that he loved listening to. There might not be a kinder frontman in country music today. 5 Seconds Of Summer is managed by Richard Griffiths and Harry Magee. The former has worked within the music industry for over forty years, starting off initially as a London based booking agent. In 1974 he founded Headline Artists, where he became the first International Agent for AC/DC. Richard has held senior executive positions at a number of leading companies on both sides of the Atlantic, including BMG Entertainment, Virgin and Sony Music. Harry has had a career within the music industry for over thirty years working in retail, music publishing, concert promoting, executive positions in major record labels and as a partner in independent record labels and artist management companies. Harry started off joining an independent music publishing company in 1982 but has since worked at BMG Records as MD of RCA, Big Life Records as MD and A&M where he became General Manager. He also formed the successful Wire Records. In 2001 he joined Richard Griffiths at the UK arm of The Firm. In 2003, the pair left to form Modest! Management. Clarence Spalding of Spalding Management takes care of the day-to-day arrangements of Rascal Flatts, and Jason Aldean. Scoring Jason his second consecutive Billboard 200 chart-topper, Old Boots, New Dirt, with first-week sales of 278,000 — without the aid of a major label, Clarence knows country music. According to Billboard, as Maverick’s sole Nashville member, Clarence has interacted the least with the label staff prior to joining it. He has been particularly keen to learn the global touring secrets of senior label heads, and see how those can translate to his country roster. To be a good music manager you need to be organised, excellent with people and have a good understanding of the industry as it stands today. The role is to bring together the people and projects which meet the goals of the artist and their record company (especially the record label). That goal can be working on the artist’s first hit, or headlining the world’s biggest stadiums. It’s like a car – you need 4 wheels to go forward – the label, booking agent, manager, and songs. I’d put a manager as the single biggest decision an artist will make, other than allowing your drummer to write a song. Kidding. One of the few times both bands spoke in the first person was when they said “I want you to show how much we appreciate you being here tonight” or “I want to tell you, we couldn’t have gotten here without you.” It’s cliche, yeah, but it works. Every single time. Future regrets might be many with these bands – bands are destined to break up, after all, by the smallest actions turning into a massive blow-up. But 5 Seconds Of Summer and Rascal Flatts’ outlooks are unstoppable for now. Just like you’ll be if you follow along to these secrets of the stage, that will quickly turn into rules of art.